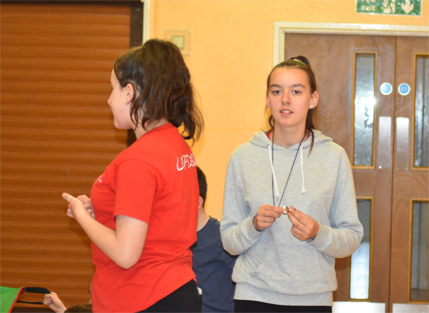 A lot of our Junior Leader team are former Youth Club members who want to continue at the Club and offer help and support to the new members. It is an excellent experience and we have seen many young people grow and develop over the years as a member of the team. I have been associated with the club since 2010 but became a leader around 2014. I love YouTube and dancing. I enjoy reading, art and photography. I’m a photographer, I practice Taekwando and my favourite High School Musical is No. 2. I have been a member of the Junior Leader Team at the Youth Club since June 2017. I like to listen to music and draw when I can. I have been volunteering at the Youth Club since 2015. I t gives me something to do on a Friday and I like working in the hall, playing games with all the kids. I enjoy music and singing. 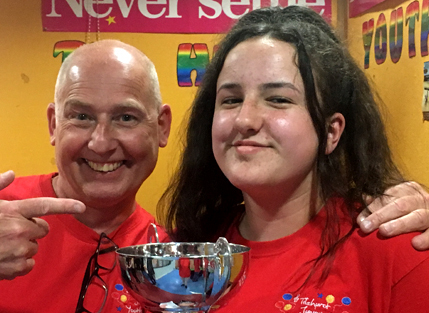 We also run a Junior Leader of the Month Scheme that seen the Senior Leadership Team select a Junior Leader of the Month – they receive Oracle Shopping vouchers as well as getting their names added to our Junior Leader of the Month Trophy. Why not join our team? Contact us today!